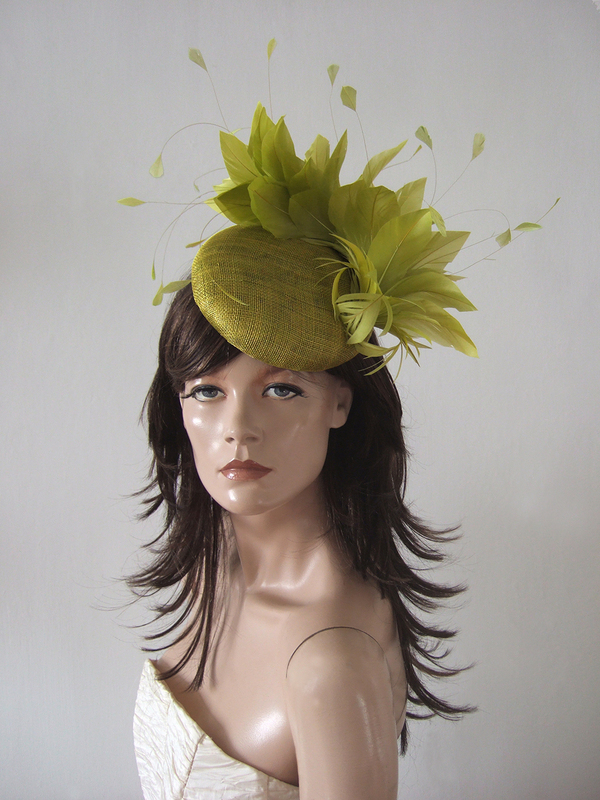 This is an feathered smartie headpiece in Light Olive. Light Olive Sinamay Base, with a wave of trimmed goose and stripped coque swirling around the outer. A versatile headpiece that works great with not just Olive, but also Navy, Neutrals, and unexpectedly - Cerise Pink. Fits all head sizes. Smartie measures 6.15" diameter, with the feathers extending further. Fits all sizes, using a comb and elastic band that wraps under the hair.